Lake Sumner with Kiwi River flats, Hope River and Lake Marion beyond. Loch Katrine below left. 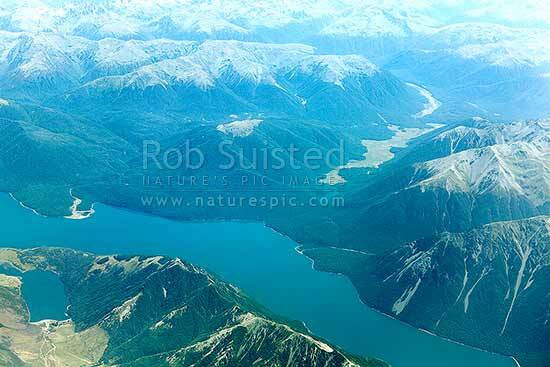 Aerial view, Lake Sumner Forest Park, Hurunui District, Canterbury Region, New Zealand (NZ), stock photo.